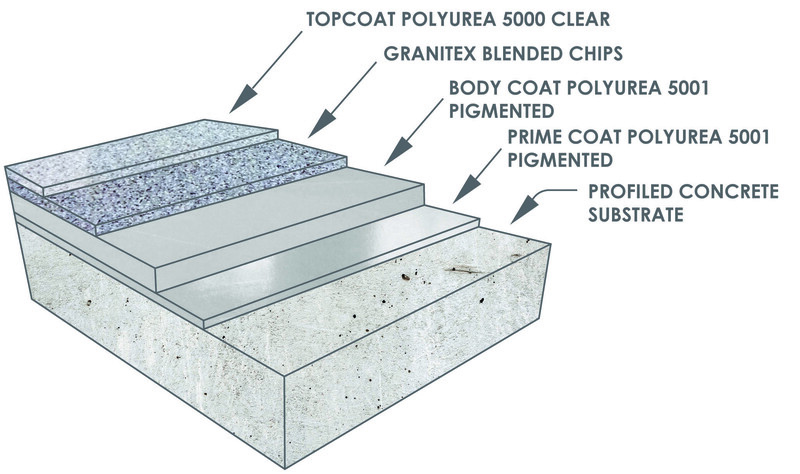 Granitex 1 Day is a medium-duty, rapid curing, high-build decorative color chip flooring system that is based on polyurea/polyaspartic chemistry. It provides a tough, easy-to-clean surface that is abrasion, chemical and impact resistant. This system offers a quick, 1 day return to service and can be installed in temperatures as low as 20°.